MOSCOW, August 15. /TASS/. "Copying" of Ukraine’s rocket engines by North Korea would be impossible without Ukrainian experts, Russian Deputy Prime Minister Dmitry Rogozin said, commenting on the information released by mass media on the purchase by Pyongyang of Ukrainian rocket engines on the black market. "What ‘copies of engines’ mean? These are not pictures or sculptures. In order to make a ‘copy,’ one needs to have the engine’s original model or its detailed drawings, as well as the help of Ukrainian experts who can and are ready to develop production on an unfamiliar technological platform. One way or another, it is about smuggling by skirting all the existing extremely strict international bans," the Russian deputy prime minister said in a Facebook post on Tuesday. 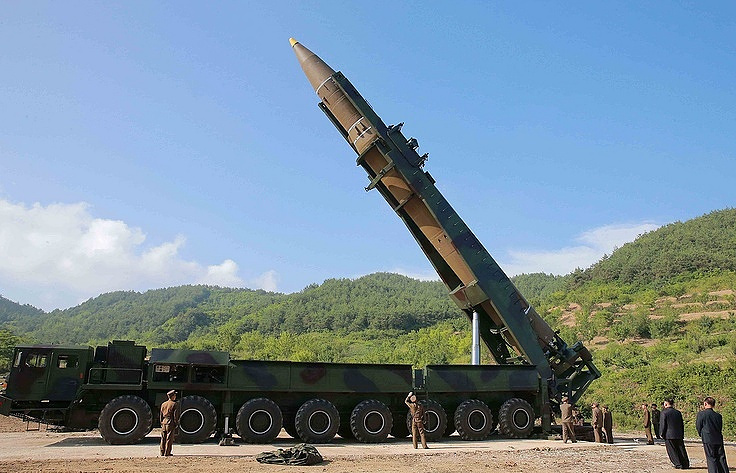 Earlier on Monday, The New York Times reported, quoting the results of a research conducted by Senior Fellow for Missile Defense of the International Institute for Strategic Studies (IISS) Michael Elleman and covert data of the American security agencies, saying that North Korea’s test firing of an ocean-spanning missile might be connected with the purchase of Ukrainian-made rocket engines on the black market. Secretary of Ukraine’s National Security and Defense Council Oleksandr Turchynov said in response that Ukraine’s defense and aerospace production plants had not supplied armaments and military technologies to North Korea. Ukraine’s enterprise Yuzhmash, in its part, affirmed that it had nothing to do with North Korean missile programs.